Capacity: 1500 to 4000 ltrs./hr. 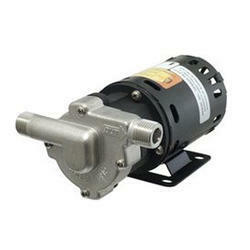 - Pump type : hygiene pumps / ss transfer pump / cip pumps / hygiene pumps / centrifugal pump. - Moc : ss304 / ss316 completely polished mirror finish for complete hygiene. - Capacity : upto 100 m3/hour. requirement l Starter: Flame Proof on and off switch I Shaft: 55.